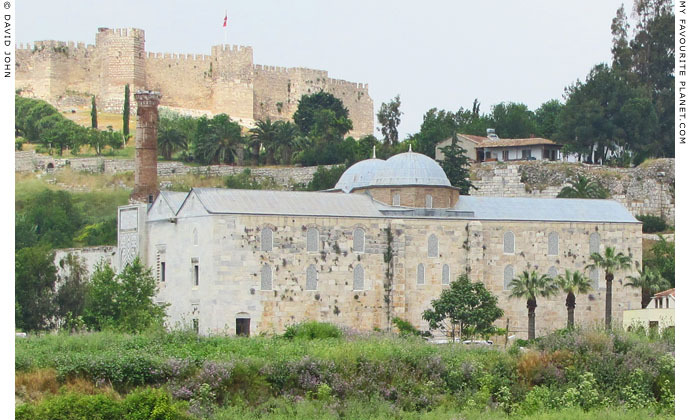 The Isa Bey Mosque (Isa Bey Camii), built 1374-1375, viewed from the Temple of Artemis. Isa Bey Mosque was built in 1374-1375 by Prince Isay Bey of the Aydinid Turks, a Turcoman clan which conquered Ephesus in 1304 and ruled much of Anatolia during the first half of the 14th century. 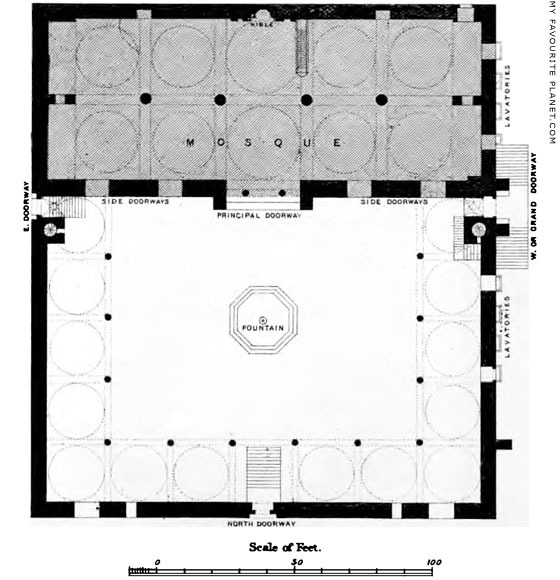 The outer courtyard, where worshippers wash before praying, is surrounded by a high stone wall. Only part of one of its two rounded, brick-built minarets survives. It is often written that this is a fine example of early Turkish architecture. 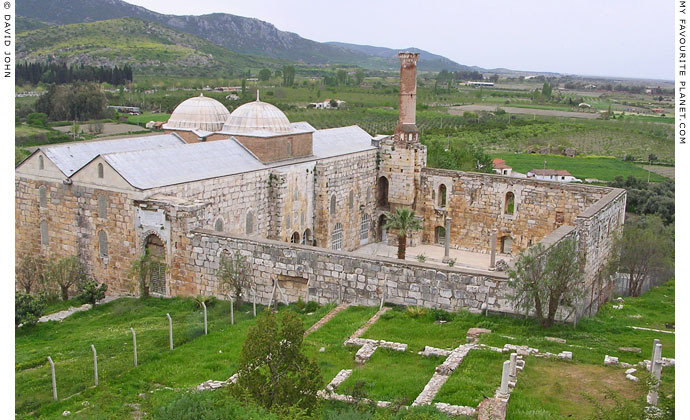 The Isa Bey Mosque as seen from the Basilica of Saint John, Selçuk. who spent two weeks at Ephesus, exploring and drawing the ruins (see A brief history of Ephesus). page 203. Day & Son, London, 1862.